This highly desirable ranch style home is move in ready. An inviting front porch. Vaulted great room, kitchen and dining area give an expansive open feel. The large master bedroom has an extra room which can be utilized as a den or sitting area with dual sinks in the en-suite bathroom. A large backyard deck ideal for entertaining. The new flooring, tiled bathrooms and the large walk-in master closet, are just some of the features of this beautiful home! 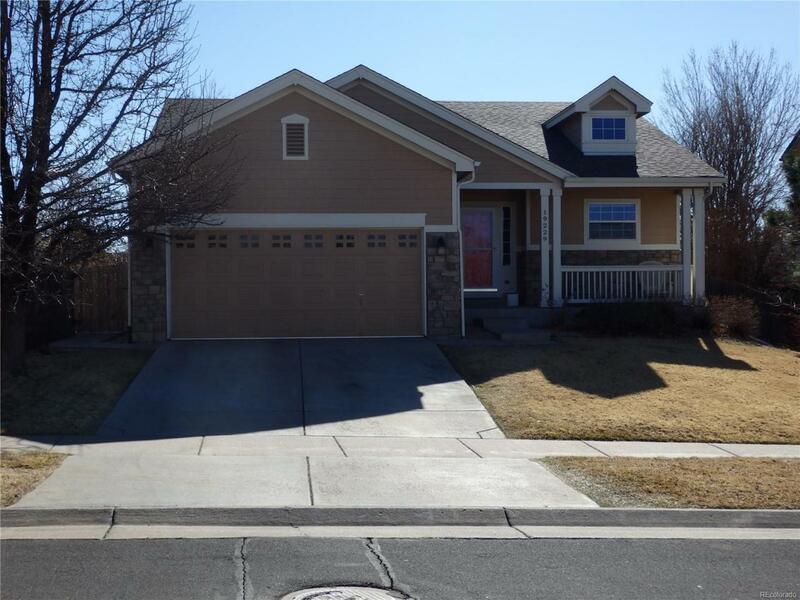 Ideal commuter location offering easy access to E-470, DIA, shopping, parks, schools, Southlands mall, and more! Unfinished basement ready for your own personal touch. Offered by Donald E. Voake.